Take the number 55 offramp off the N1 onto Main Road – Paarl. Turn left into Main Road. Stay on Main Road for approximately 500m, turn left into Flambeau Street (the first street on your left). 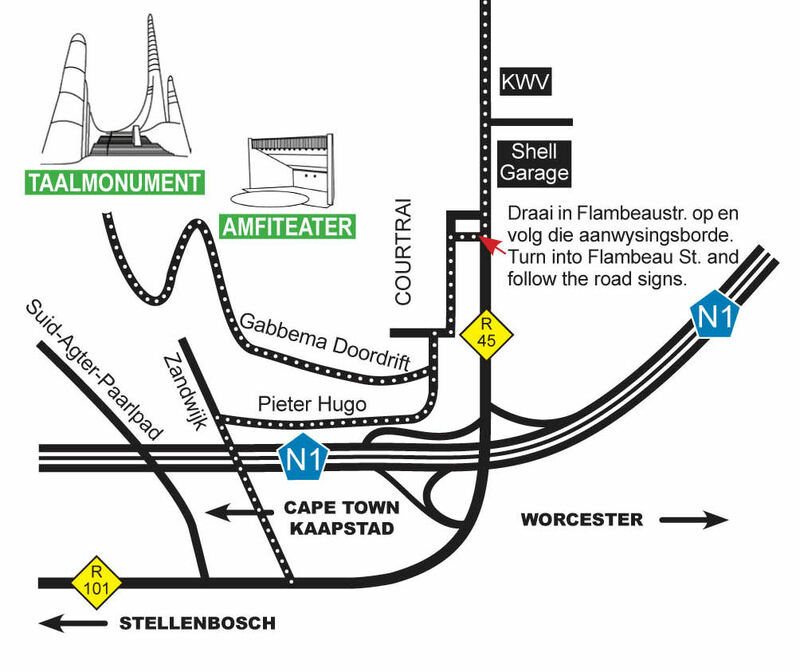 Follow the brown road signs to Gabbema Doordrift Street that leads to the Taalmonument on top of Paarl Mountain.